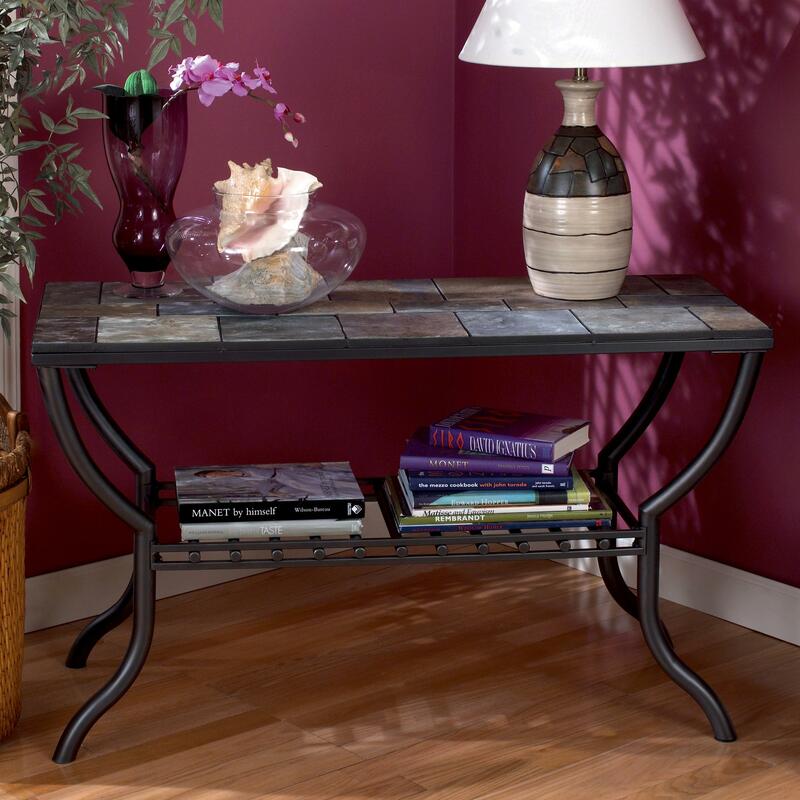 This slate top sofa table is made of sturdy wrought iron, but maintains an earthy and whimsical feel. A lower shelf provides storage for books or display items. Place this table behind a couch or as a side piece in a hallway, and ground your display pieces in comfortable homey style. The Antigo Slate Top Sofa Table by Signature Design by Ashley at Royal Furniture in the Memphis, Nashville, Jackson, Birmingham area. Product availability may vary. Contact us for the most current availability on this product. Fill your home with warm memories of days gone by with the Antigo collection. This collection consists of T233 occasional tables. With the natural slate tile and the gunmetal finish, you can bring back the memories of backyards and barbecues of youth. The unique grilled shelf and range of tones within the tiles bring the outdoors into the warm comfort of your own living room. Welded wrought iron frames with a baked epoxy finish gives the pieces the strength that the look demands. The Antigo collection is a great option if you are looking for Contemporary furniture in the Memphis, Nashville, Jackson, Birmingham area.